Boulogne, 1805. Napoleon studies Dover Castle through a giant telescope. Behind him stands an army of 167,000 men, superbly trained and ready to invade. Behind them Joseph Fouche, France’s Minister of Police, who attends public executions with human ears dangling from his hat. Across the Channel, William Pitt awaits the French with the Cinque Port Volunteers, a ragbag force of 3,000 yokels armed initially with pikes and pitchforks. In between sails the Royal Navy, desperately short of ships and men, yet blessed in Lord Nelson with a leader of outstanding ability. All are adamant that English ears must never dangle from Fouche’s hat. 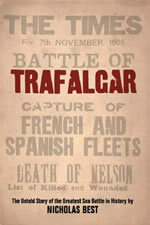 This is the story of the men and women of many nations who fought at Trafalgar, told in their own dramatic words. But it is also the wider story of characters as diverse as Madame 40,000 Men, doyenne of Boulogne’s prostitutes, Captain de l’Ort, Austrian eyewitness at Ulm, and the anonymous but beautiful English blonde who did her best to get Napoleon’s invasion plan out of him at Boulogne. Unaccountably neglected by Trafalgar historians, their tales are all the more fascinating for being very rarely seen in print. "You can almost smell the whiff of gunsmoke and feel the sweat as the battle begins. This is history with a page-turning quality"
"... recreates the terrible tension and uncertainty of the naval campaign that led to the most famous sea fight in history. His original research draws on a wide range of eyewitnesses to craft a gripping minute-by-minute account." "rattles along excitingly... the battle is grippingly described with a Master and Commander/Patrick O'Brian touch." 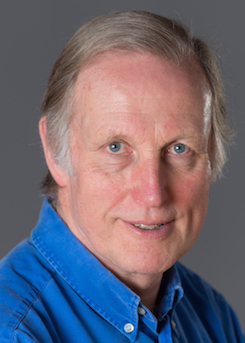 "Nicholas Best uses eyewitness accounts to recreate the tension and uncertainty of the campaign that led to the battle, and to describe the carnage and the glory of Trafalgar itself." "This gripping book tells the story of Britain's legendary naval victory on October 21, 1905 in which the national hero, Admiral Lord Nelson, was killed by a French sharpshooter... Nicholas Best has done an excellent job describing the build up to the Battle and the primitive conditions on the ships... This book is replete with fascinating details." "None are likely to be more comprehensive or gripping than this one, which describes the Royal Navy's triumph over the French which effectively scuppered Napoleon's threat to invade Britain... He is unsparing in his details of the bloodshed wrought by cannons and cutlass wielding seamen who boarded the shattered ships."